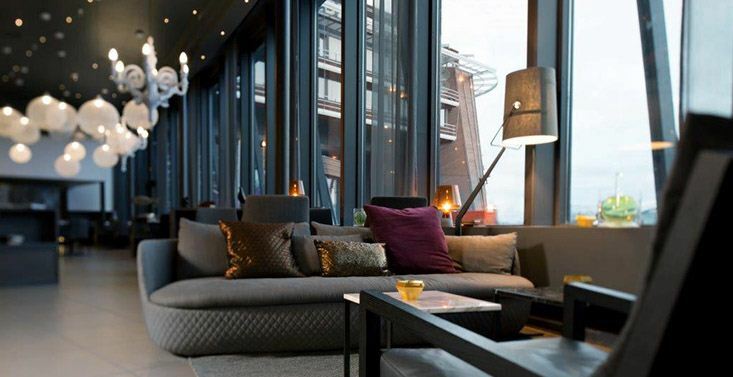 Hotel Rica Ishavshotel, Tromso, Norway. 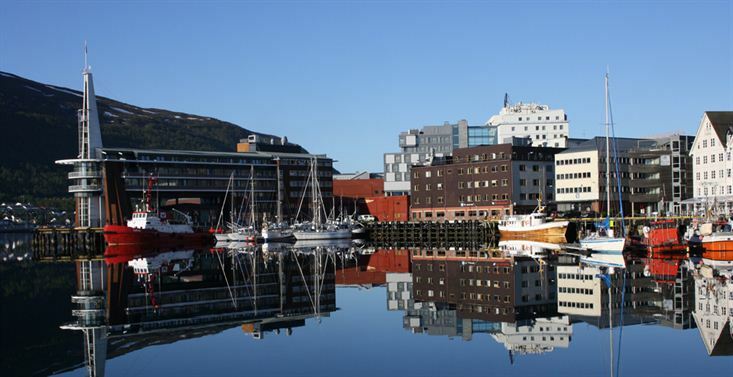 Quality tailor made holidays to Norway. 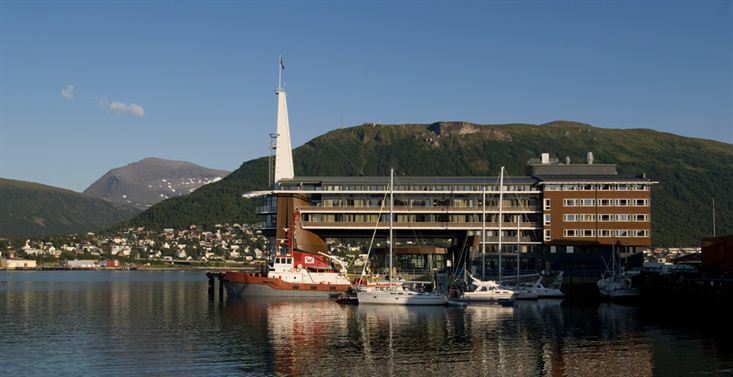 The hotel is centrally located in Tromsø, also known as the Paris of the North. 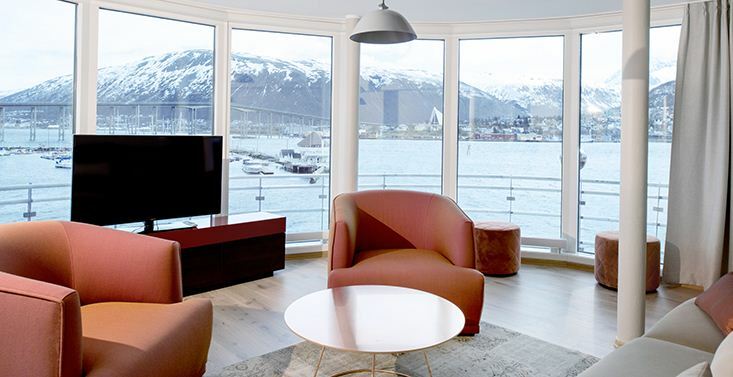 With its unique location on the quay, the hotel stretches out over the Tromsø strait with magnificent views of the harbour, Ishavskatedralen and Tromsdalen. 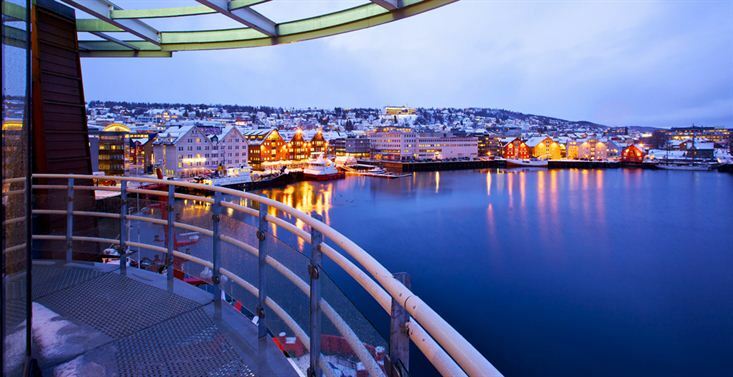 Rica Ishavshotel recently won the title of Norway's fifth best hotel, voted by TripAdvisor, and has a 'Traveller's Choice 2012' award. 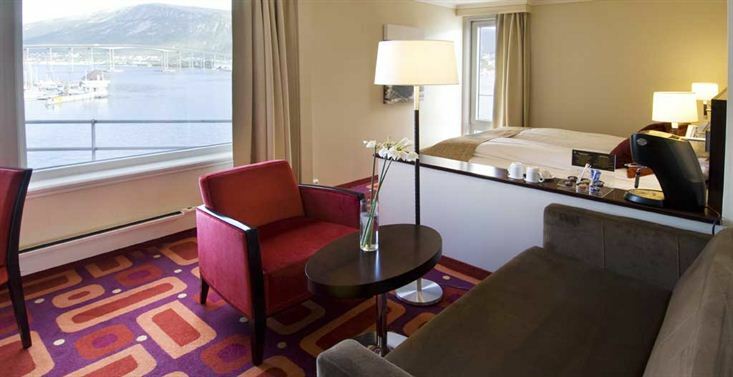 The hotel's single & double rooms, deluxe rooms, superior rooms and suites are of a high standard. 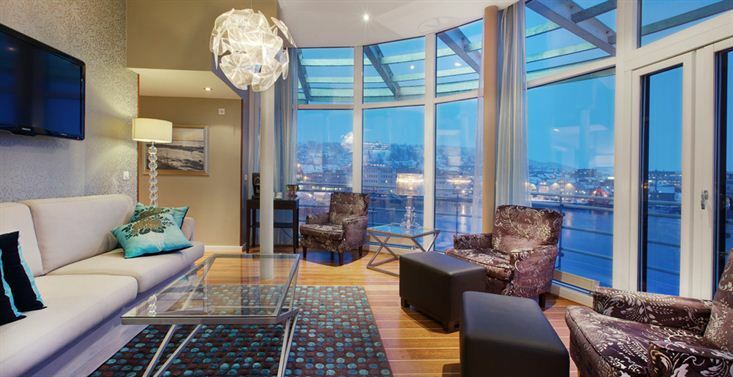 Located at the very end of the quay, nearly all the rooms have magnificent views. 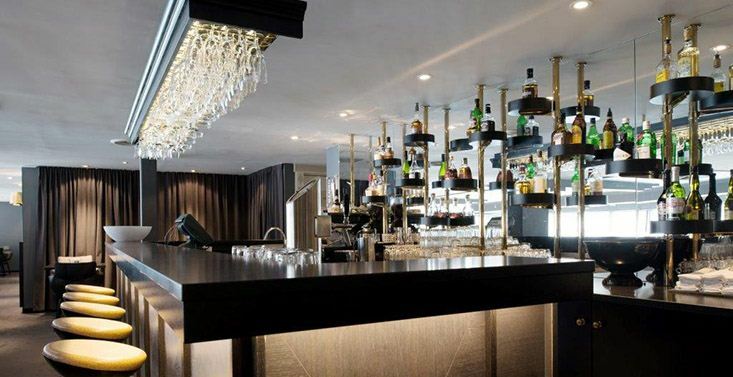 "Gallionen Restaurant" is an elegant mixture of café and à la carte restaurant. 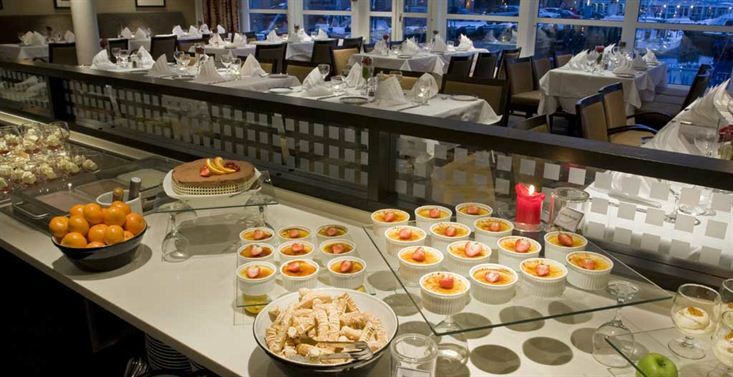 The "Brasseriet" restaurant offers delicious, traditional cuisine and specialities from northern Norway to tickle your tastebuds. 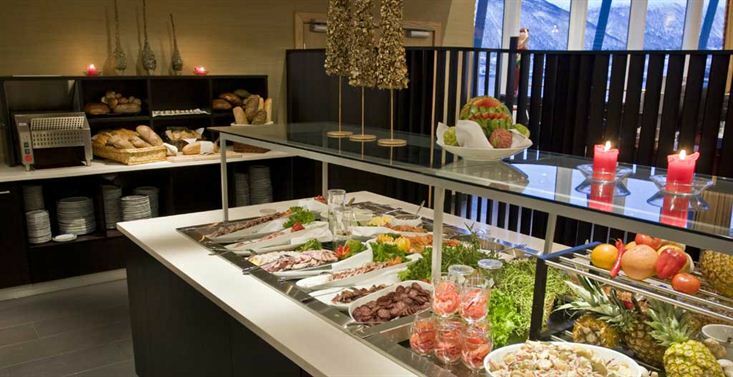 The hotel is renowned for its magnificent breakfast. 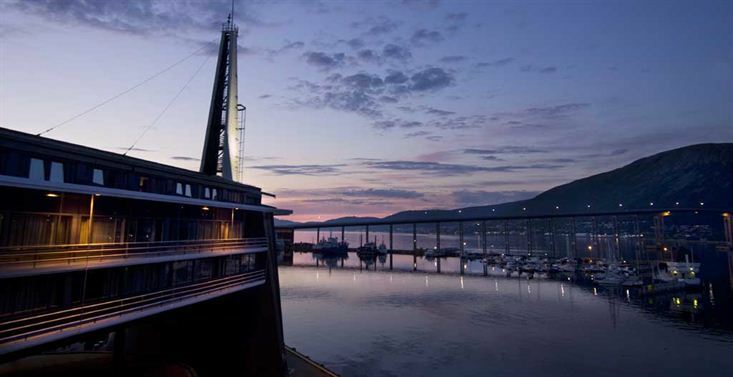 The hotel also has two bars, "Galleriet Bar" and "Skibsbroen Bar", both located at the end of the mouth of the fjord with a fantastic view of Ishavskatedralen and Tromsø Bridge.